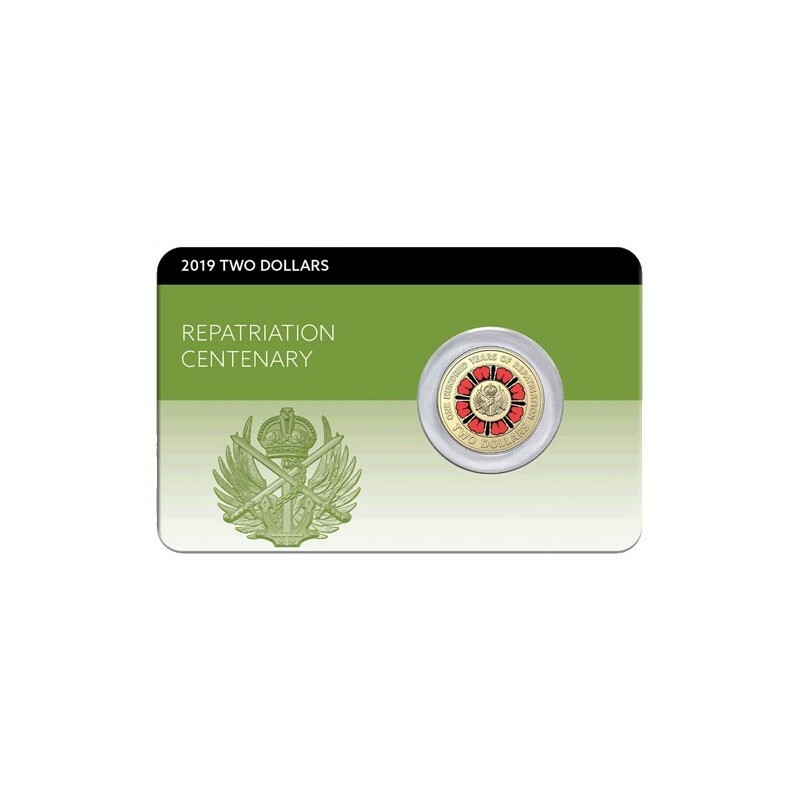 This 2019 $2 coin recognises the 1919 Australian Repatriation Department, which undertook the massive task of repatriating Australian servicemen and women after the First World War. Tens of thousands of servicemen and nurses were provided with vital support and services. 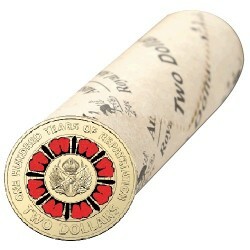 This coin will appeal to military and history enthusiasts, as it commemorates the centenary of this crucial achievement. In 1919 the Repatriation Department was created by the Australian government to facilitate to repatriation of tens of thousands of soldiers and nurses, many of whom bore the physical and psychological scars of war. The Department provided war pensions, a soldier settlement scheme, and other vital services such as healthcare, education, housing and official commemorations. General John Monash was responsible for demobilization from the Western Front and Egypt. In spite of the challenges of dealing with issues of morale and the risks of the 1919 influenza pandemic, he accomplished the task in ten months. A century later, the role of providing essential support to Australian servicemen and women, and their families, is now carried out by the Departments of Vetran's Affairs. 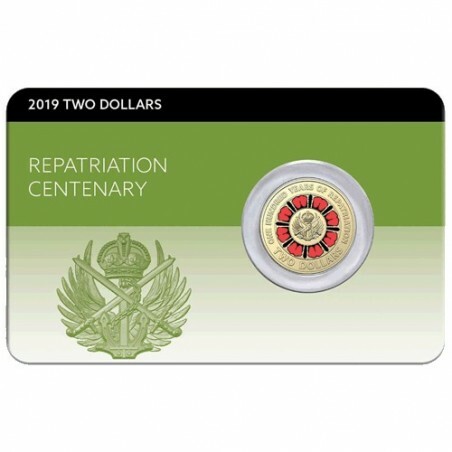 The centenary of the vital task of repatriation is celebrated with this 2019 $2 Coloured coin in credit card style pack. The obverse features the effigy of Her Majesty Queen Elizabeth II sculpted by Ian Rank-Broadley.